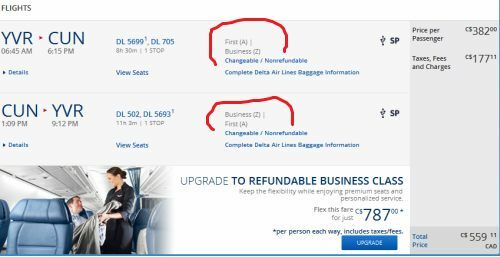 Delta's website is currently showing Vancouver - Cancun, Mexico (CUN) flights in business class for $559 CAD roundtrip including taxes. Many dates between Jan 2015 and March 2016. Some in Dec 2015. Note: If you see the price change from $559 to over $1000, that date combination may have sold out. Try slightly different dates. Dates around Christmas will obviously be selling out *fast*. 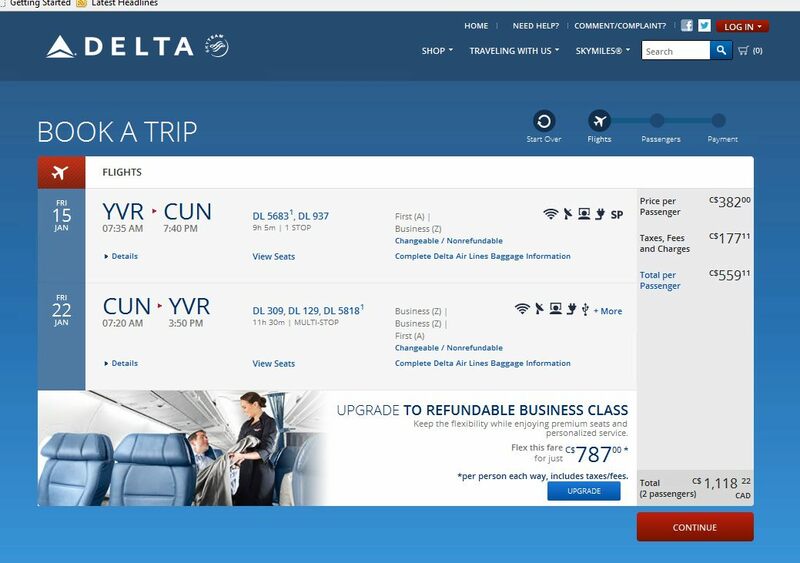 vancouver, yvr, mexico, flight deals, delta, cancun, cun, north america and business class. 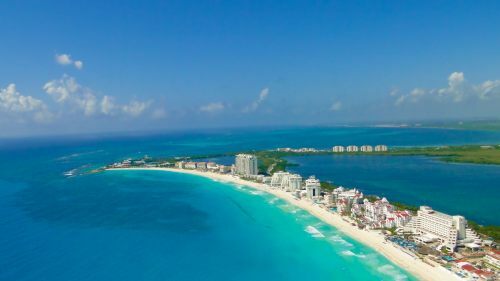 4 Responses to "Vancouver to Cancun, Mexico in Business Class for $559 CAD roundtrip including taxes"
Booking multiple passengers is definitely possible. Keep in mind that when you change the number of passengers on Google Flights, the price it shows is the total price for all passengers. Looks like all the $560 tickets are taken, but trying at $791, I can only book one person at a time at that price. If I increase to 2 passengers it does not double to $1,582, it jumps to $1,928?? My problem started when I wanted to extend the trip from 7 days to 10 or 14 days. Any suggestions - book one seat at a time for the same itinerary? When examining the details of the United Air flights to CUN from YVR, it shows adult tickets are for ages 18-64. They have separate sections for infants etc. but no mention of seniors. I am not looking for a discount I just don't want to book 2 tickets and then be told at the airport that I cannot use a ticket designated for a younger passenger. Is this goofy?